You may have noticed – people all across Alaska and the Lower 48 are wearing the color teal on Tuesdays. By wearing teal they are bringing awareness to, and support for, the fight against gynecological cancer. 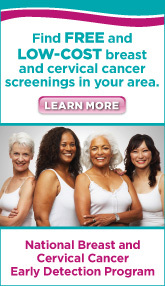 There is no annual screening test for some gynecological cancers. That’s why awareness is so essential – understanding some of the symptoms and what to watch out for can make a difference in your life, and in the lives of women you know. Know the Big 5 and Thrive! Did you know that gynecological cancer is actually composed of five separate and distinct cancers? They are vaginal, vulvar, uterine, cervical, and ovarian. Of these five, only cervical cancer is screened at annual woman wellness exams. That’s why it is key to know as much as possible – you know your body best and can learn what to watch out for. The Big 5 and Thrive campaign started right here in Alaska in the Mat-Su. The goal of this campaign dovetails with Teal on Tuesdays. So now, in addition to spreading awareness of gynecological cancer, we are also doing our best to educate Alaska women about what gynecological cancer actually is. And the symptoms to watch for.